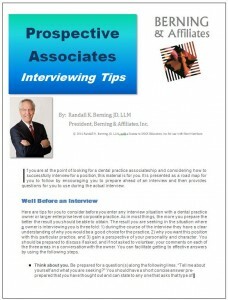 This valuable report by Randall K. Berning is a must read for any dentist considering developing an associateship practice relationship. Download the report here FREE! This white paper article by Randall K. Berning is an excellent resource for any new dentist or dental specialist who is preparing to find the right fit for a practice associateship. Download the article here FREE! Insightful blog postings on topics of interest to dental professionals. Subscribe to the feed and receive each new posting! Smart Doctor CEO™ Member. Its FREE! Join our E-mail List — Its Free too!